Losing your keys is always a terrible feeling, and keys are just so easy to lose. Wouldn’t it be great if you never needed to worry about this problem ever again? BlaqWolf has made that dream a reality. 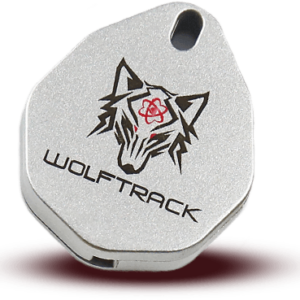 Perfectly sized for adding to your key chain, the stylishly elegant BlaqWolf tracking tag is clearly in a class of its own. For a start, there’s an industry leading range of up to 110 metres, something that no other Bluetooth based tracking tag technology has yet achieved, according to published manufacturer data. The tag is also waterproof to IPX4 standard, and while we won’t say it’s indestructible, we will say you’d have to put in a lot of concentrated effort to damage it. It’s built to stand up to just about any conditions you could reasonably expect to be in. There are some things that are not advisable to do with like putting in a microwave or running it over with a tank, but we’d expect you to know that. For anything that’s not completely insane like those examples, your BlaqWolf tracking device should be perfectly capable of enduring. 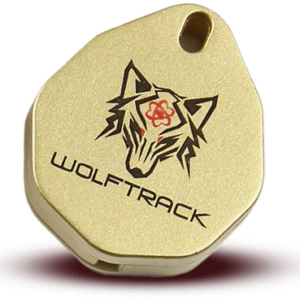 The BlaqWolf key tracker is also a multi-purpose device. It can be attached to almost anything – or anyone – and will faithfully do its job of helping you keep track of where it is, or finding it if it is lost. But its versatility is not what we mean when we talk about the device being multi-purpose. In addition to functioning as a tracking or finding device, it can also function as a personal safety and security device. When you have one or more BlaqWolf devices within a given area, you can define a perimeter around that area. 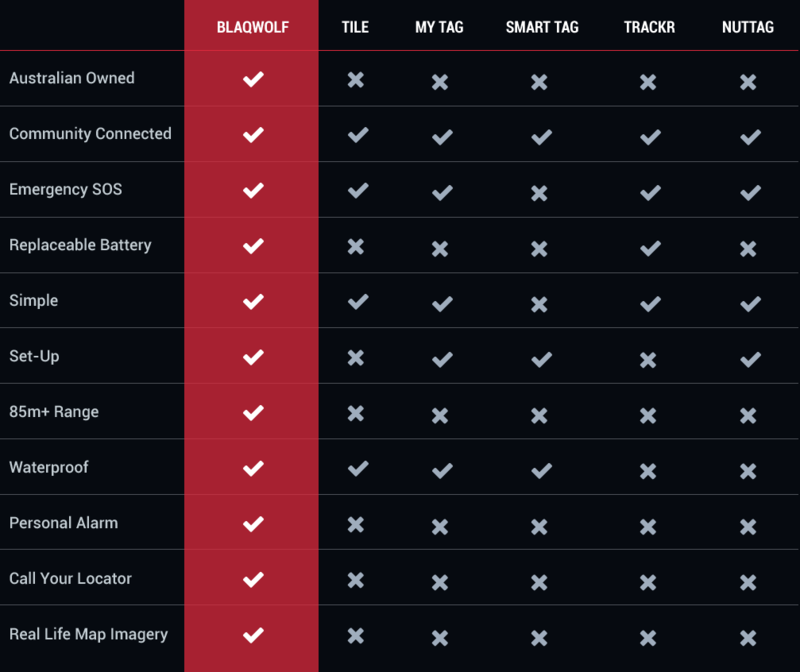 If any of the assets attached to your BlaqWolf trackers are moved beyond the perimeter you defined, the device will notify you by sending an SMS message to your phone and also sending an email to you. If by some chance somebody does manage to successfully remove the asset and make away with it, you can call the device with your phone and it will report its location to you. Maybe the only reason your keys got lost is because you were carrying them when you got lost. 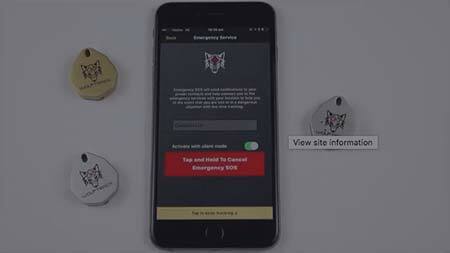 Lucky that you had a BlaqWolf key tracker with you, because it has a built in SOS emergency feature. If you are in an extremely precarious situation, you can activate this function and emergency services will be alerted to your location. 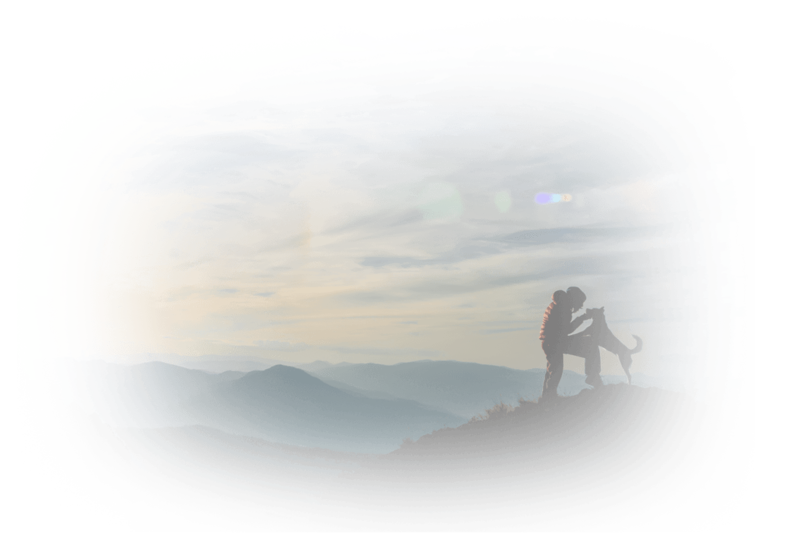 If you’re facing a different kind of threat, like you are about to be attacked by a mugger or a savage animal (sometimes it can be hard to tell these apart), they will get the shock of their lives when you activate the personal alarm safety feature. It’s almost as loud as a jet plane taking off, and it makes a sound bad guys just can’t stand. Nothing can completely guarantee your safety, but with BlaqWolf you odds of surviving an emergency get a really big boost. You really need this device. It will help you avoid losing things. It will help you keep your treasured possessions safe. And it will help you keep yourself safe. It’s the versatile gadget with so many uses, and it’s really affordable. 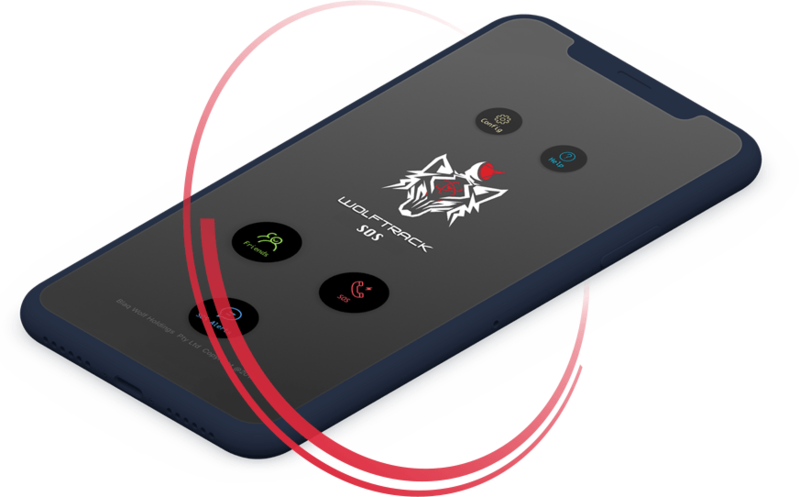 The amazingly low price and fantastic usefulness of this device is reason enough to buy it, but if you take advantage of our Ultimate Wolfpack Bundle, you’ll get even more value and great savings. No need to wait. You can buy it online right now, today, from this website. This range is the longest in the industry and it will help you to find your keys using just your smartphone. You don’t have to buy a new GPS tracker when your battery is done – simply replace it with a new battery and you’re good to go! If you’re concerned that you’re in a difficult situation our apps empower you to send out distress signals to the emergency services. The signal will also go to a list of predefined emergency contacts. You can receive an alert every time that keys move beyond a certain boundary from your home. This is easy to do and it’s accomplished by setting up a boundary within your app. When you have lost your keys you want to get them back as soon as possible. Our tracking devices offer incredibly accurate GPS tracking so that you can find your keys right away. 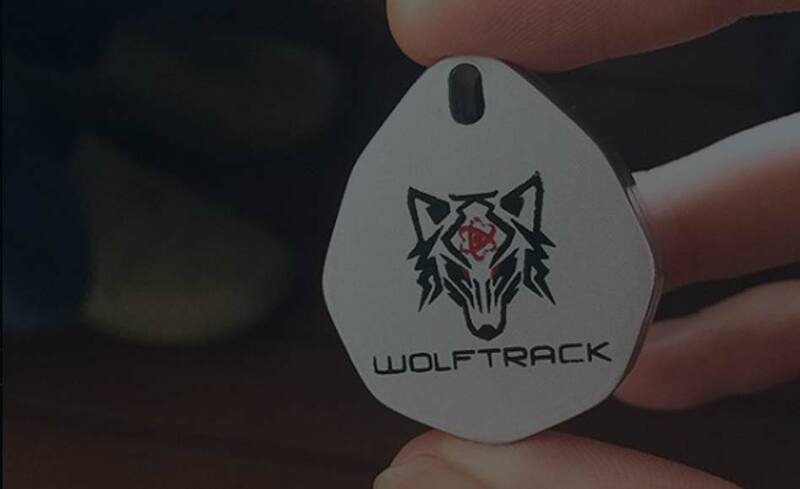 If your keys have gone beyond their range don’t worry: all BlaqWolf users that go within 110m of that locator will trigger an SMS alert to be sent to you. Your keys are durable so your locator should be too. It’s important for us that your locator is reliable and can withstand everyday use and exposure to liquids. A locator device is only as useful as long as it is turned on. Our batteries are the best in the business and can last for up to one year. 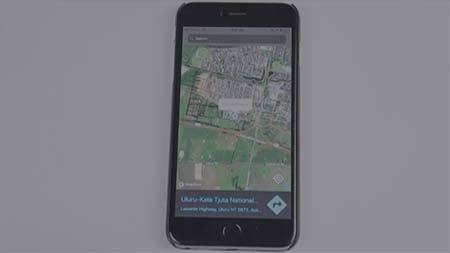 The Wolftrack app has a powerful alarm system installed within it that can be activated at a moment’s notice. This will bring attention to you and help your situation. Have your keys in your hand but the phone is missing? 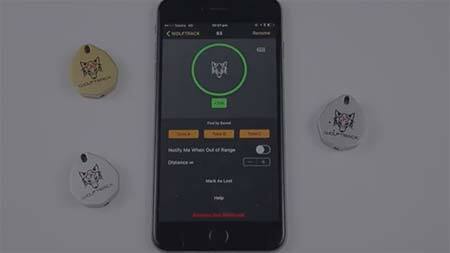 Simply give the locator a double tap and it will trigger your phone to make a sound. At BlaqWolf we never compromise on quality and we take your ability to track your keys very seriously. 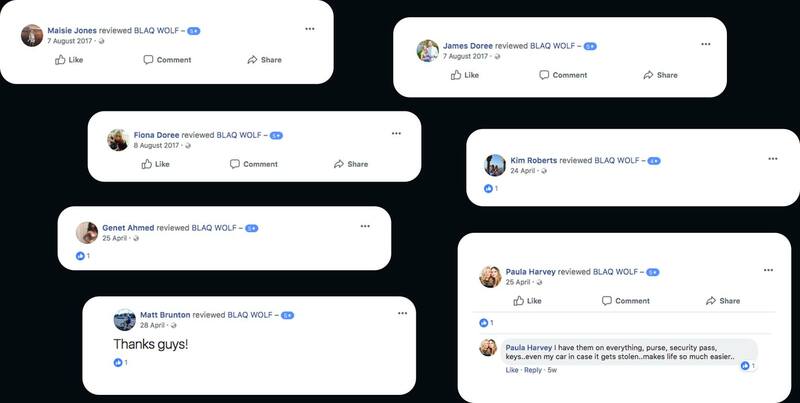 If you find that your BlaqWolf product does not work exactly as expected then our replacement guarantee means that we can take care of that replacement right away. Whether you’re leading the pack or travelling solo you need to know where you are at all times. Having an accurate understanding of where you are can help you find the best and safest route to your destination. 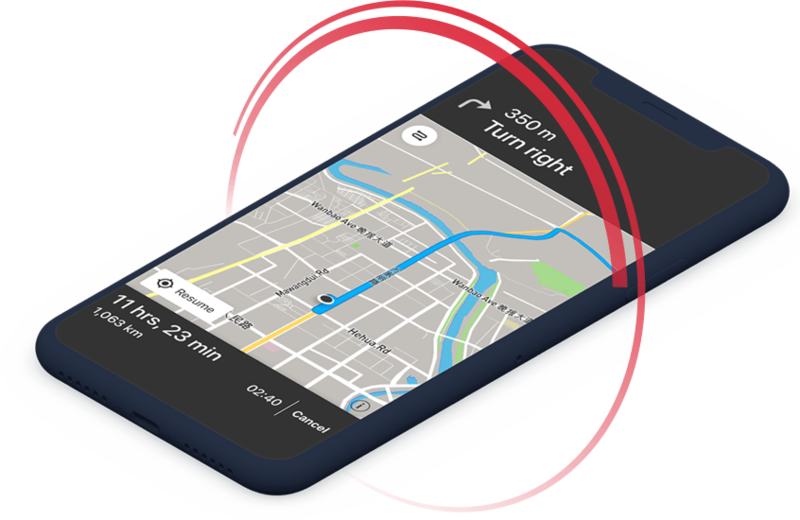 Download this fully-featured GPS app today and have a GPS ready to go in your pocket. Losing your keys can be a terrible stroke of luck. Or, even worse, they could be taken from you. Both of these scenarios may require dramatic measures such as replacing the locks on your home. 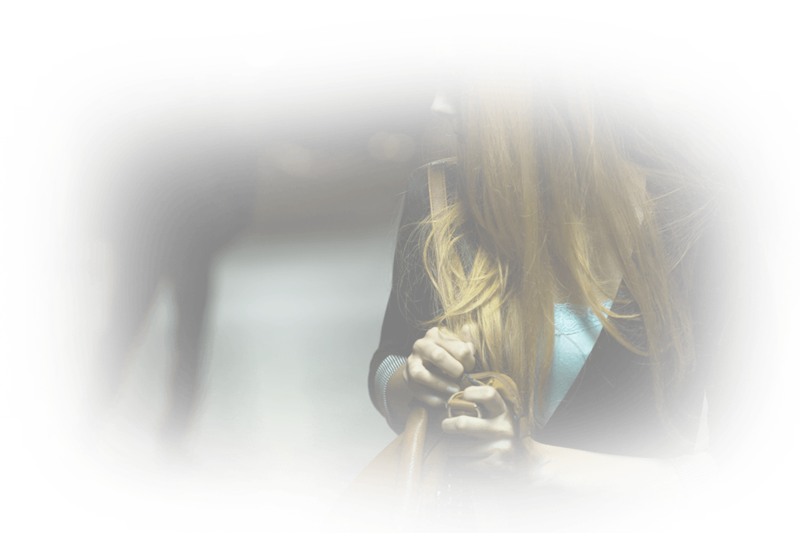 If you feel that you are in danger of losing your keys you need to have a personal security backup plan. This is where the Wolftrack SOS Personal Security App comes into the picture. This powerful app can send distress signals to the emergency services and a predefined list of contacts to protect you and dispatch help. Every moment that your keys do not have a tracker attached to them is another moment they are in danger of being gone forever. 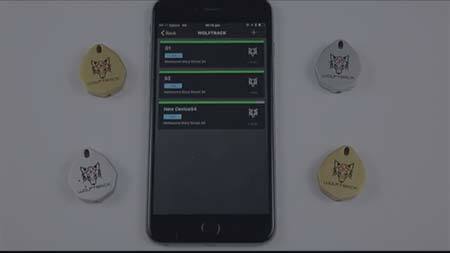 The moment that your BlaqWolf trackers are attached to your keys you will feel so much better and you’ll quickly learn how the solution works. Don’t hesitate any longer – get started today! Every house has multiple sets of keys that belong to it. Whether its parents, children or other family members each of the sets of keys needs to be given the same care and attention. You should consider using a range of trackers and BlaqWolf can cater for this with a range of packages. 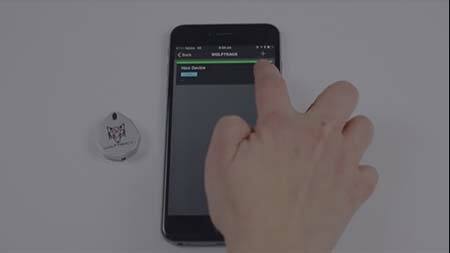 Tracking all of your sets of keys is simple from your smartphone; they can be easily tracked using the BlaqWolf apps. How many times a year do you think you lose your keys? It’s a very common occurrence across Australia and countless collective hours are spent searching for them. Our Bluetooth key finders offer great accuracy and can save you a lot of time and energy spent looking for lost keys. Use our key finders and locate your keys in mere seconds.